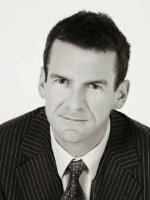 Calgary, Alberta-based MNP LLP announced that John Hughes, the former national leader of Deloitte’s private enterprise practice has joined MNP’s private enterprise (PE) practice as national leader. Based in MNP’s Toronto office, Hughes will work closely with the firm’s PE professionals to help take the practice to new heights. With more than 25 years of experience, Hughes has spent his career helping Canadian business families, entrepreneurs and their management teams create value and grow their businesses through a broad range of strategies.